Kit includes Yellow Brick Road pattern plus the fabric for the top and binding. 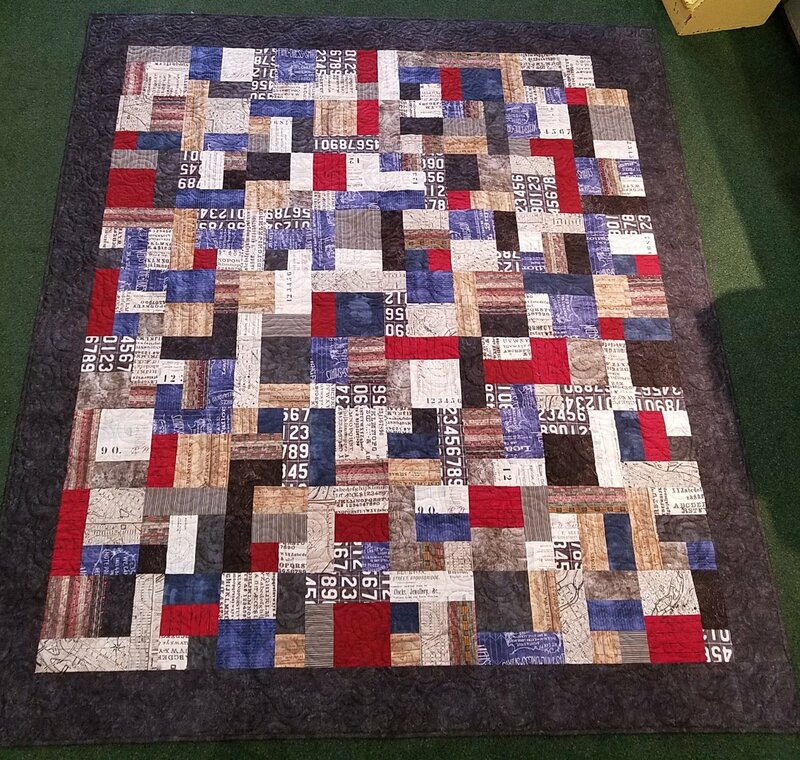 This great quilt features Tim Holtz fabrics. Finished Size: 84" x 93"